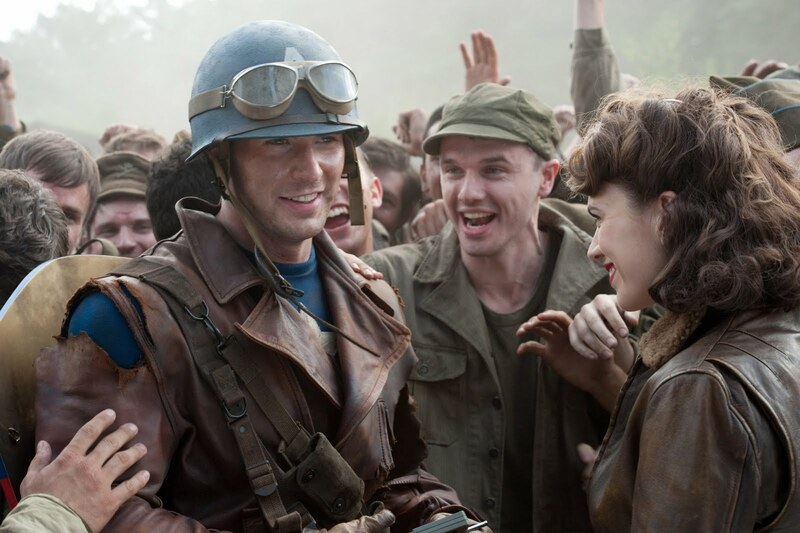 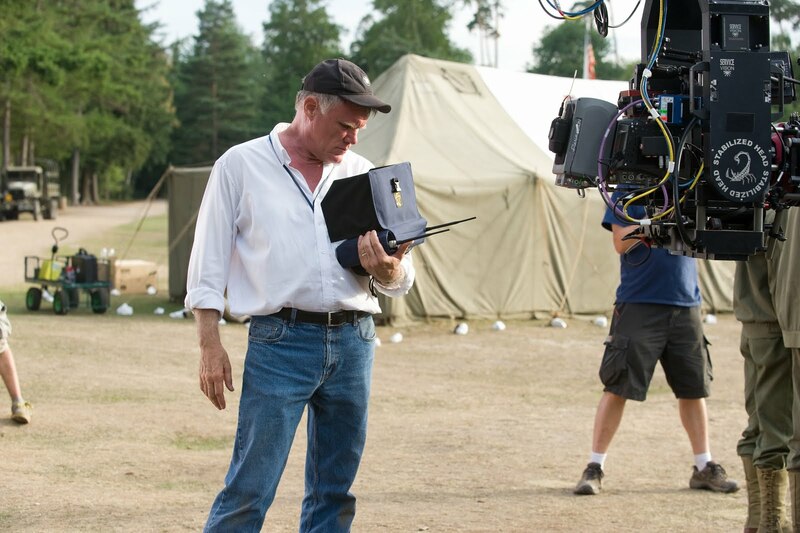 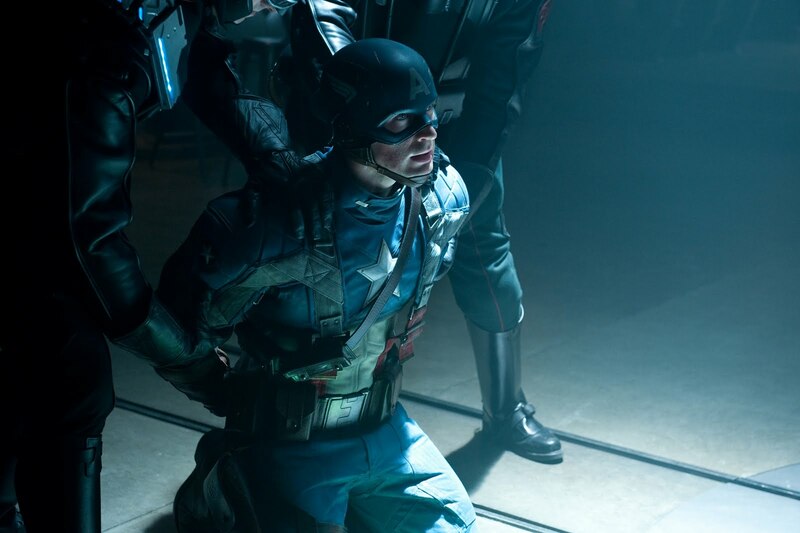 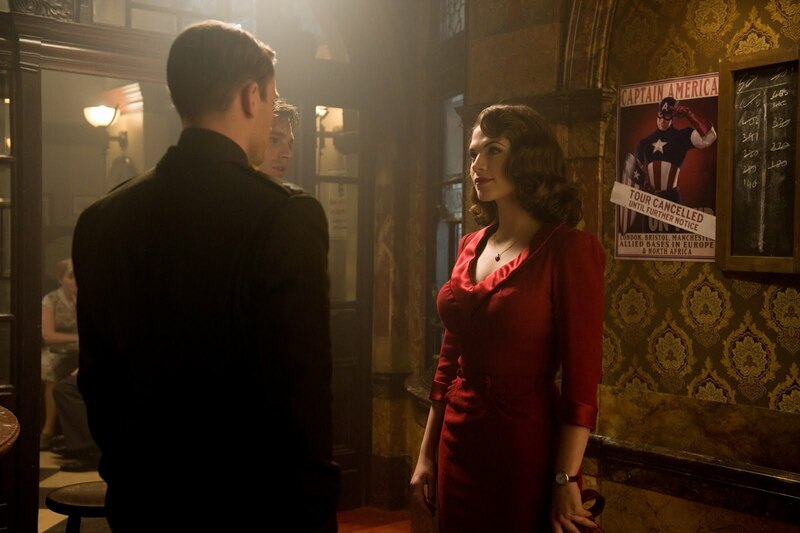 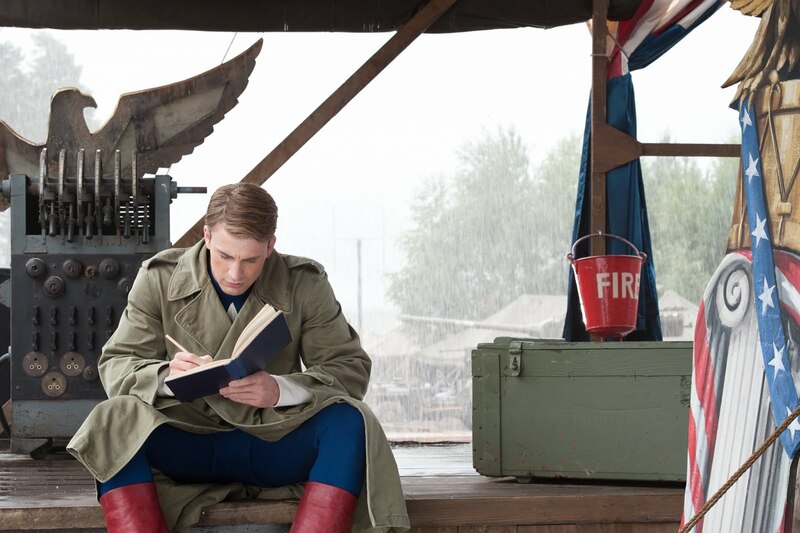 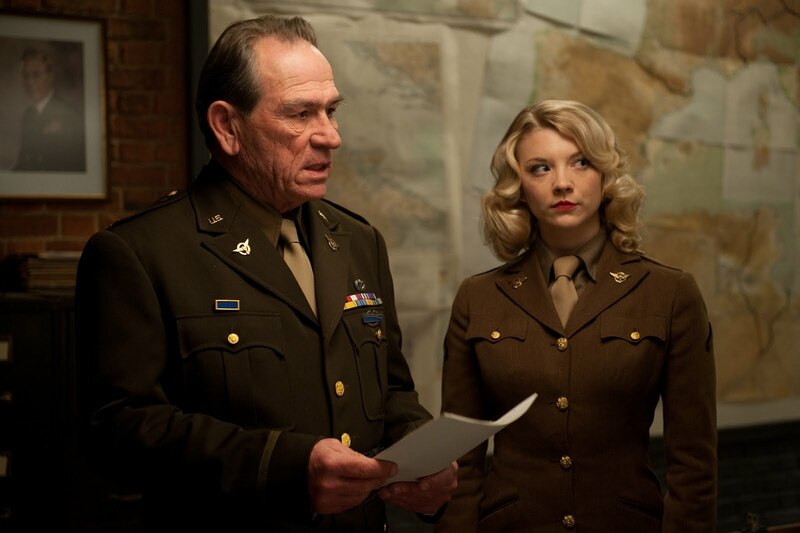 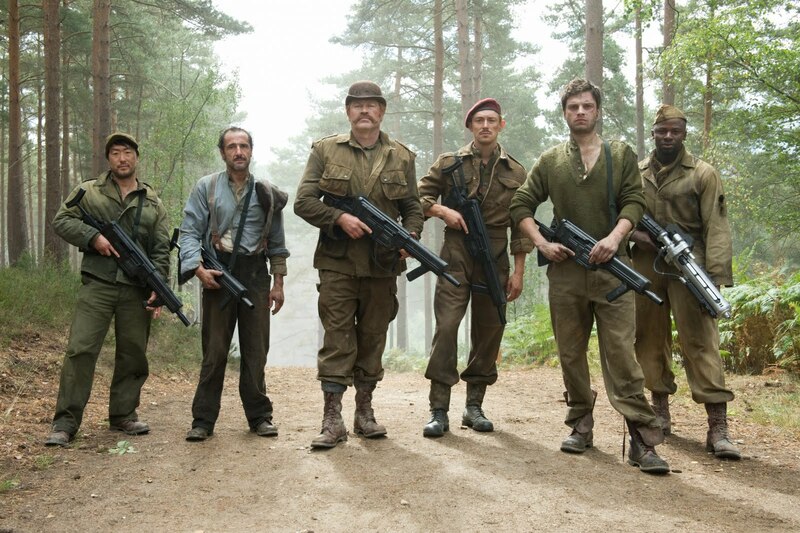 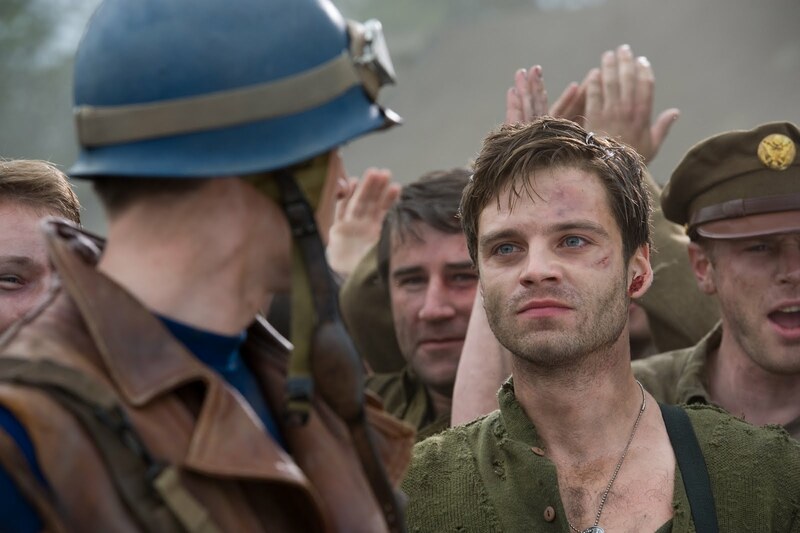 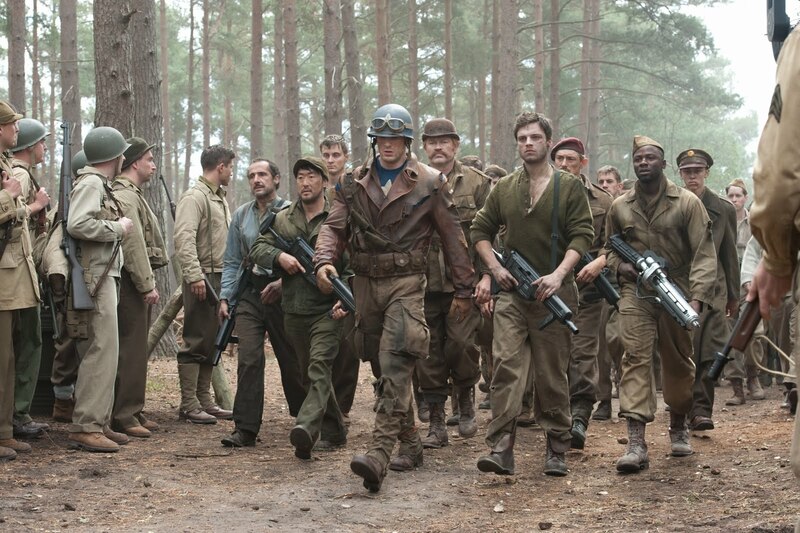 The Summer box office war continues with Captain America: The First Avenger opening today. 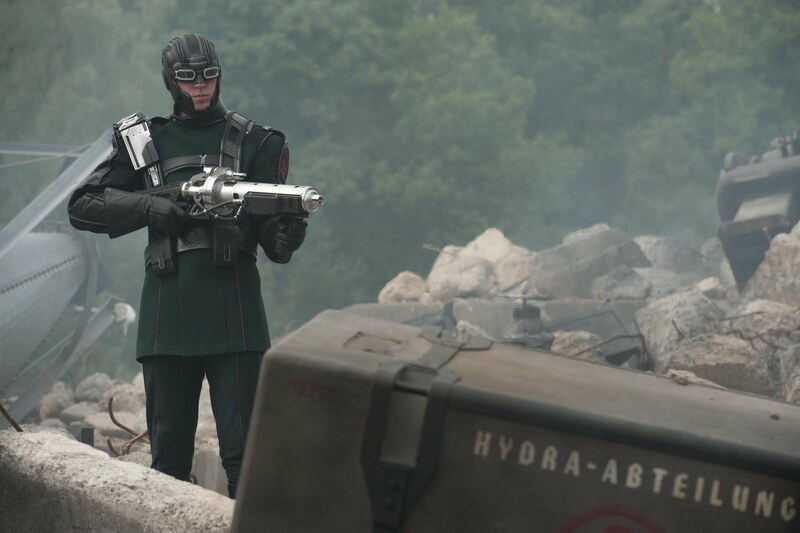 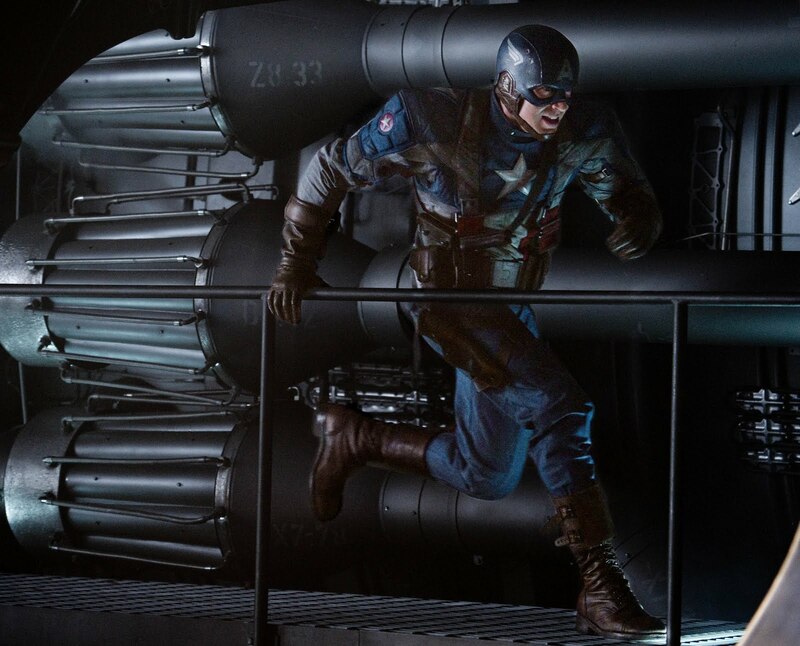 Can the Star-Spangled Avenger continues Marvel Studios' series of home-runs? 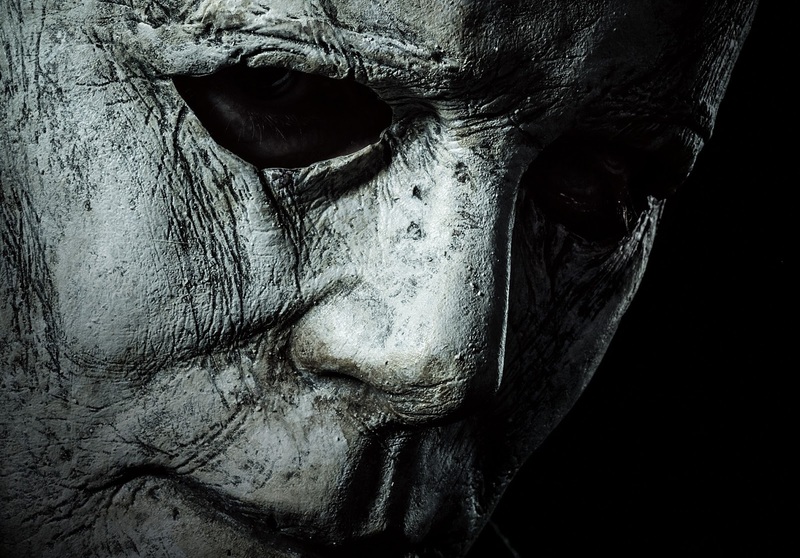 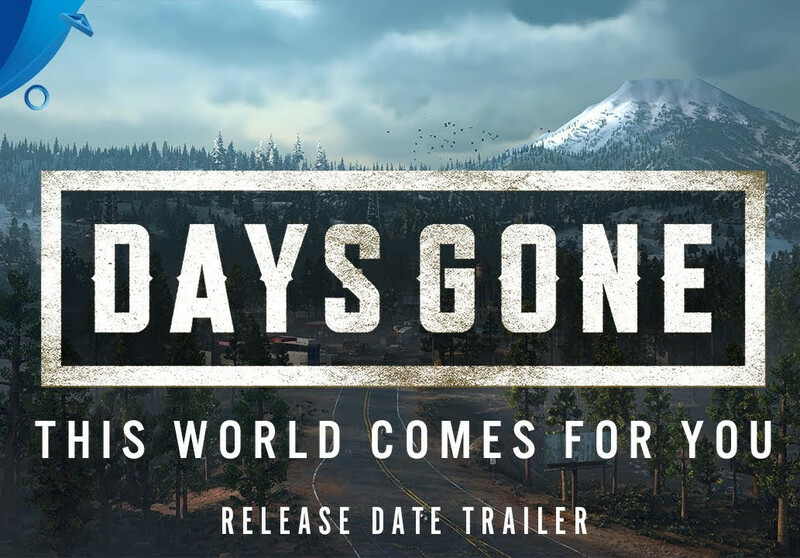 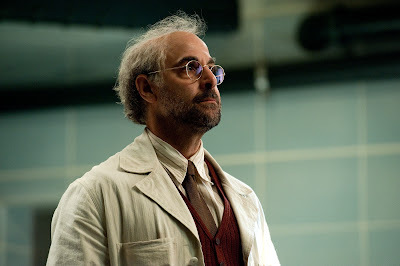 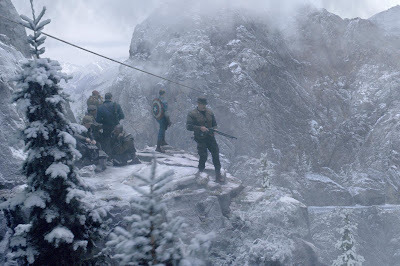 The Daily Zombies take a final look as we offer our take on that question while offering you a massive collection of posters, trailers, and set stills from the film. 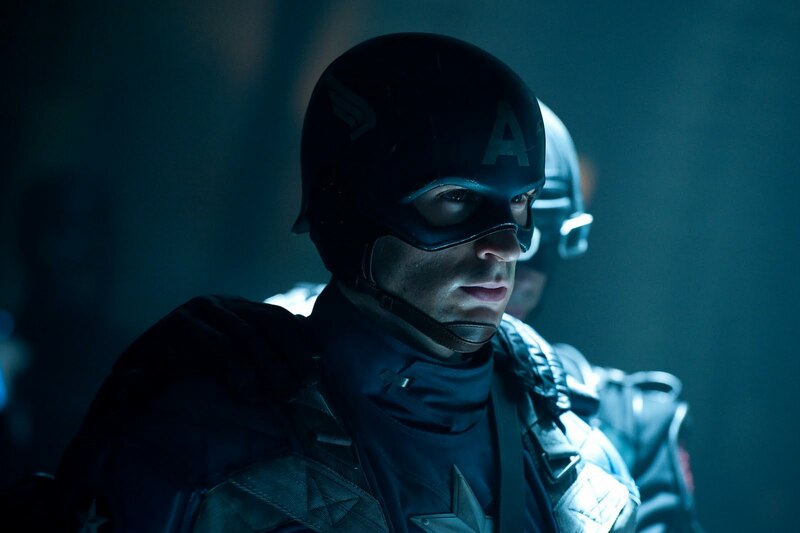 The Marvel Cinematic Universe put together independently by Marvel Studios has been incredibly lucrative. Coupled that with the generally positive reviews from both film critics and fans alike, none can deny Marvel Studios the immensely success it had set out to achieve back in 2008 with the back-to-back theatrical releases of Iron Man and The Incredible Hulk. 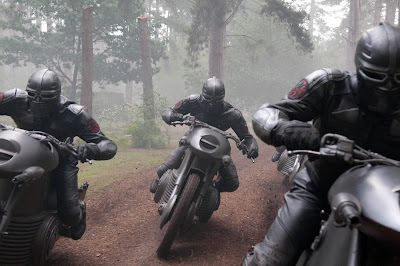 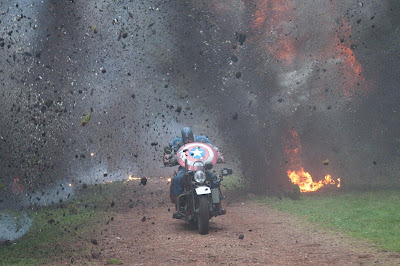 With the continued successes of 2010's Iron Man 2 and Thor, which opened last May, we are now at the penultimate chapter of what has been the dreams of many a Marvel Zombie: A big budget, live-action adaptation of The Mighty Avengers. 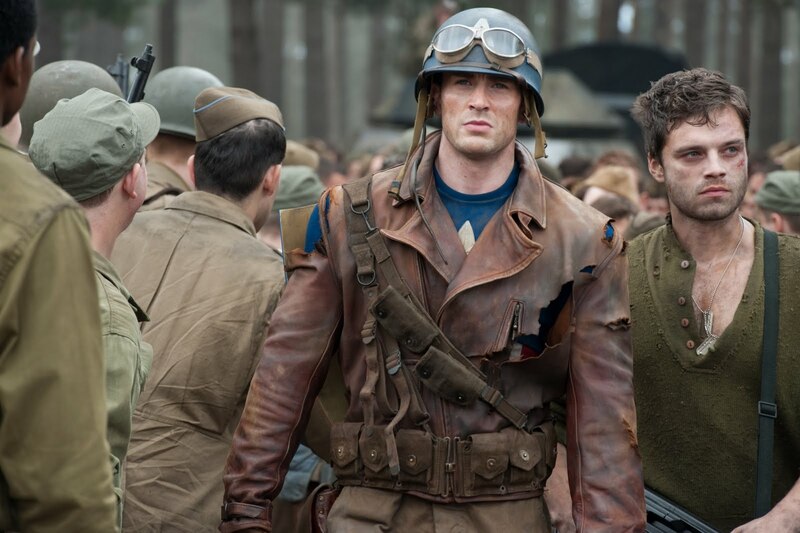 A massive and unprecedented film project, the Marvel Cinematic Universe has been on course to next Summer's The Avengers, a full balls-to-the-wall Marvel superheroes epic made by fan-favorite director Joss Whedon. 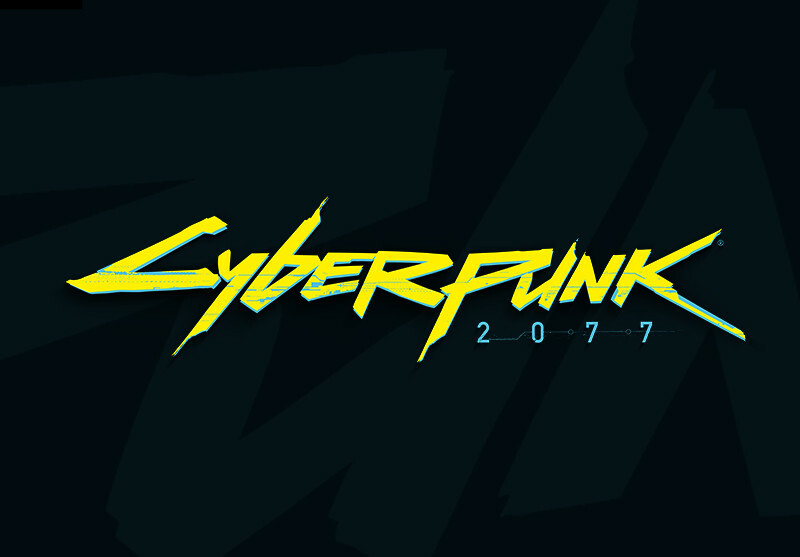 And as we mentioned earlier, the penultimate chapter might just be the final make-or-break test for the daunting project. 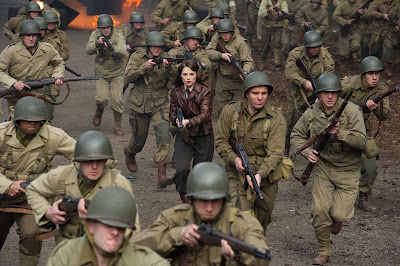 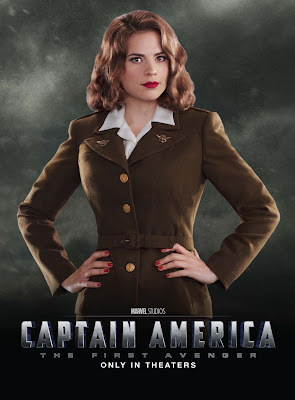 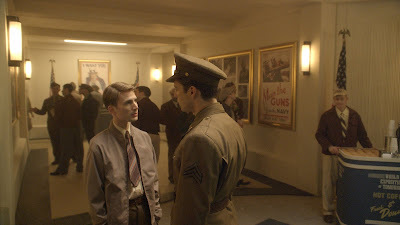 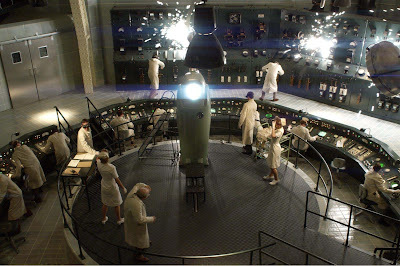 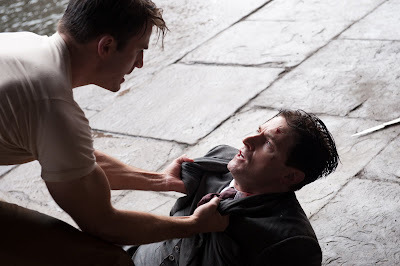 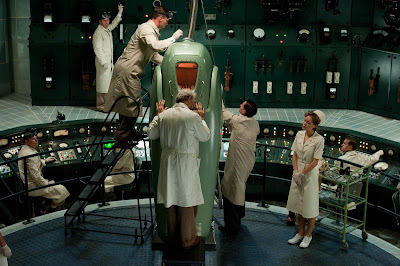 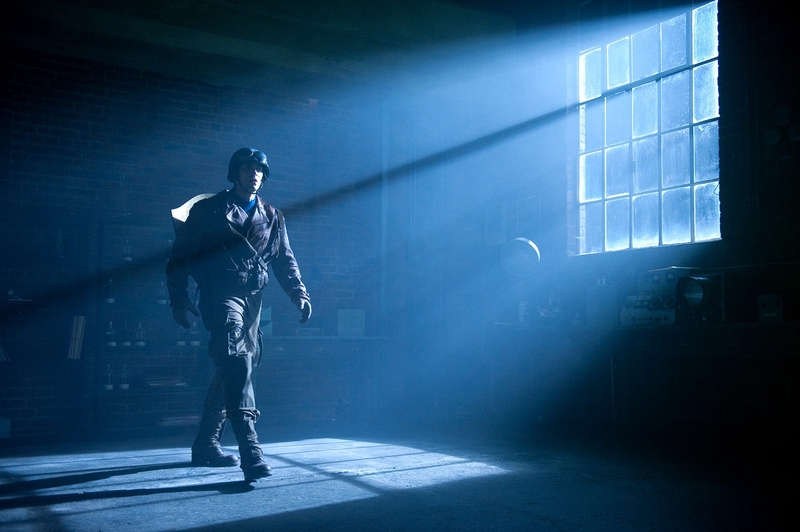 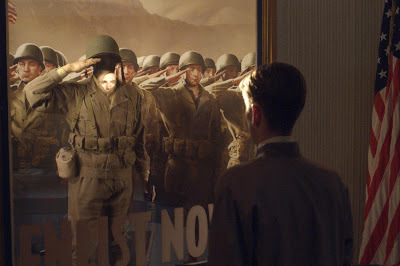 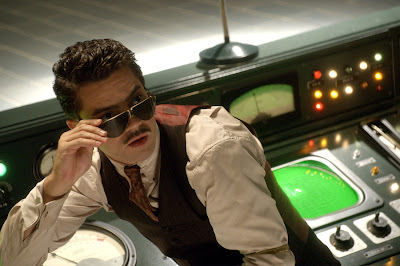 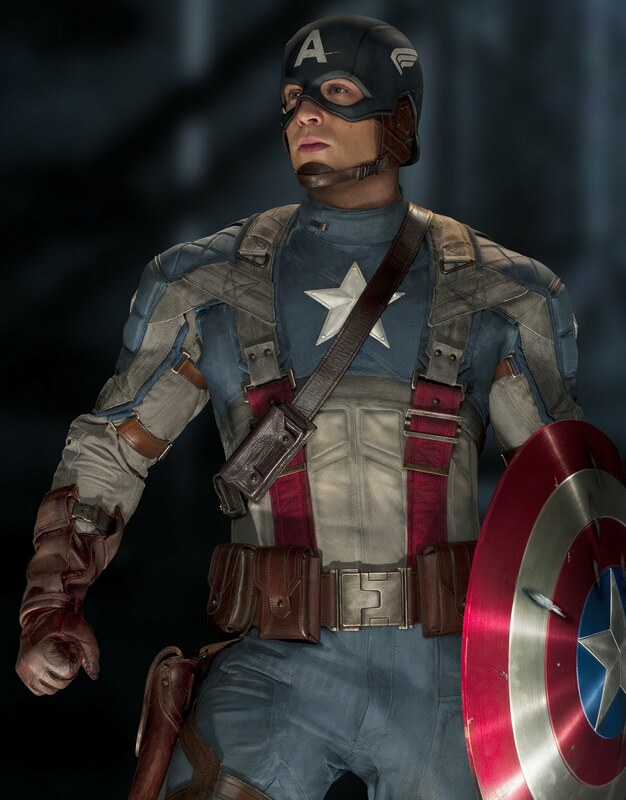 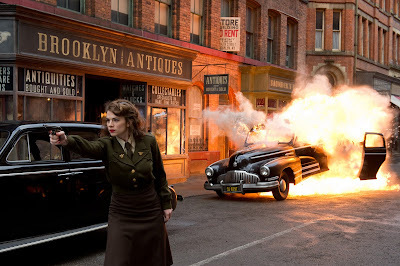 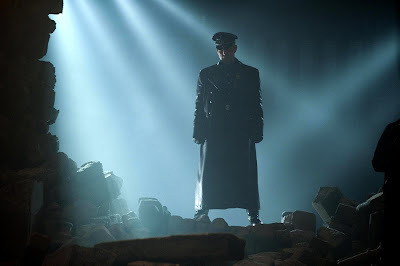 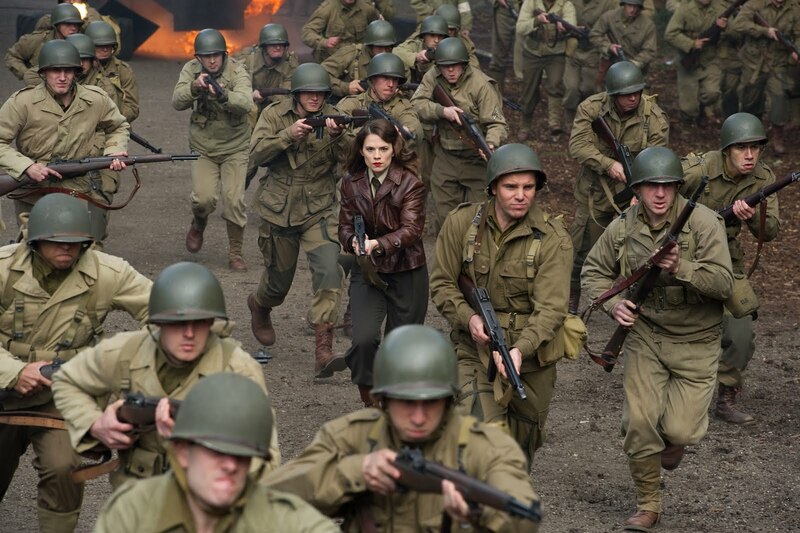 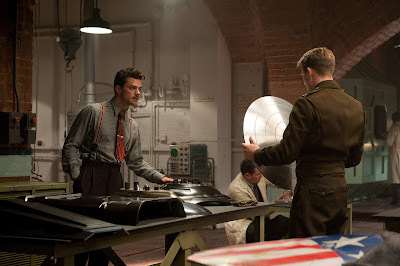 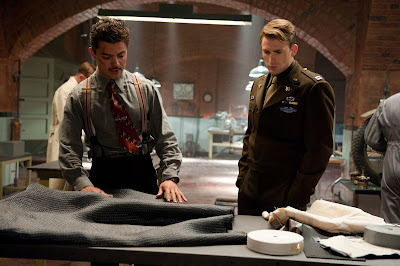 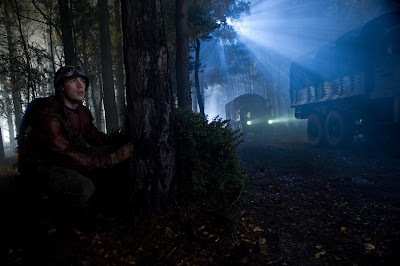 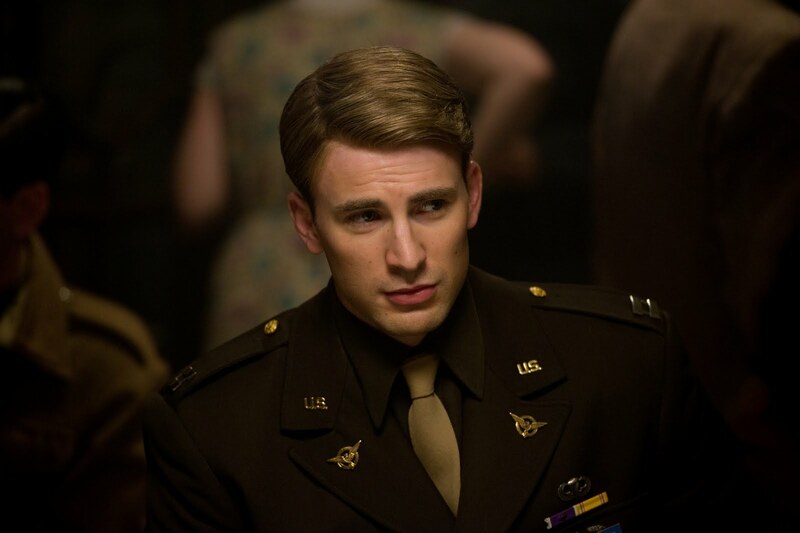 Captain America: The First Avenger, directed by Joe Johnston, who famously directed another 1940s retro superhero film in The Rocketeer, will also be set in the 1940s, setting up the origins of the eponymous character, who will, according to the comic books, become the leader of The Avengers and one of the greatest superheroes of all time. 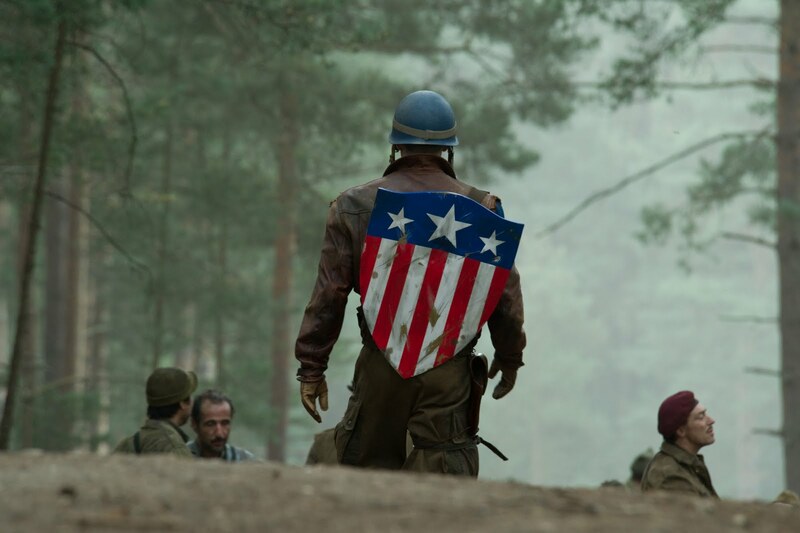 While Steve Rogers, the alter ego of Captain America, is in fact one of our favorite superheroes ever, the fact that the live-action adaptation is by far one of the most difficult subject for Marvel Studios to tackle has no doubt cast a shadow over the film. 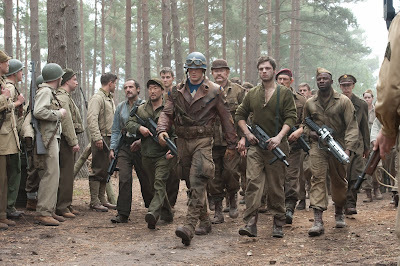 Adding to our cynicism would be the fact that period comic-book adaptations has never seen success at the box office. 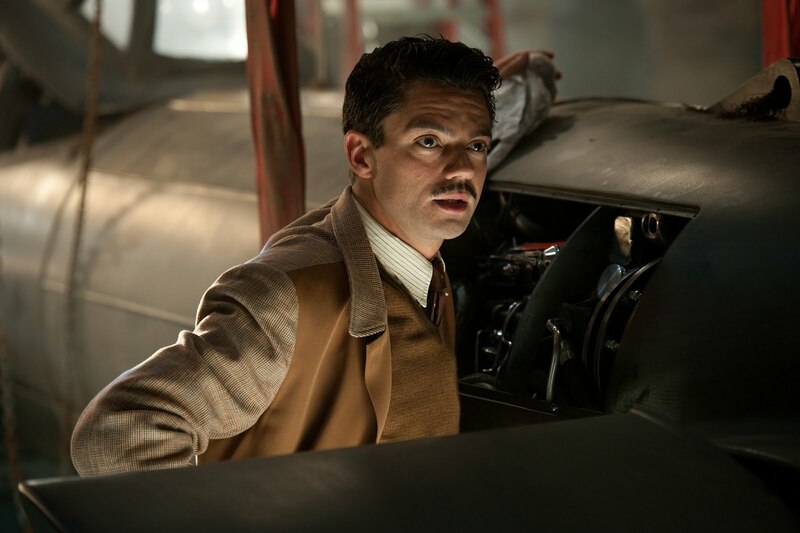 From The Shadow to Johnston's very own The Rocketeer, these films traditionally failed to capture the attentions of the younger audiences despite later moving on to a cult status, especially in the case of The Rocketeer. 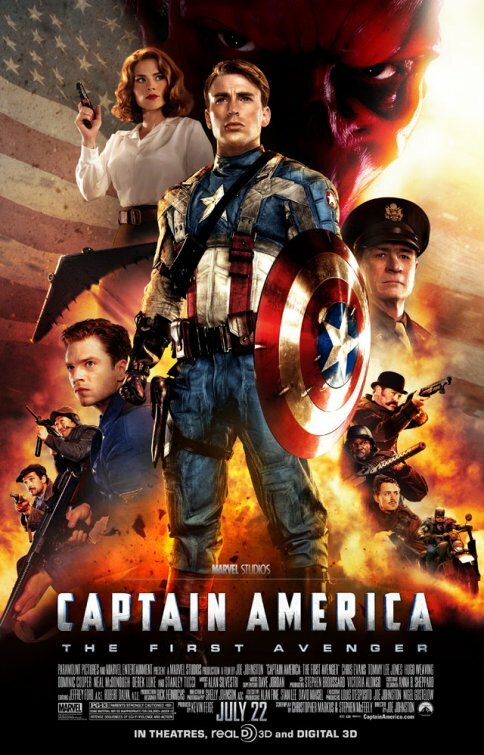 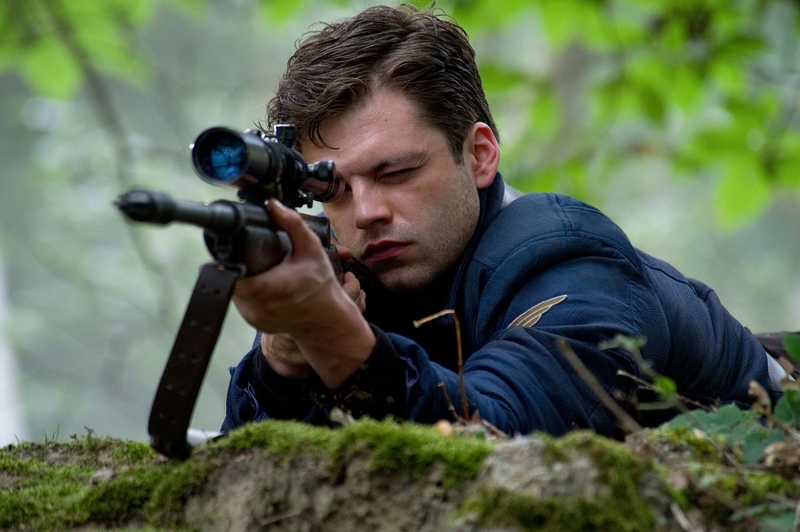 Will Captain American fare any better than these films? To that question, we gladly respond with optimism. From what we gather from the trailers, while Captain America: The First Avenger does faithfully adhere to the nostalgia to a purer, more innocent time during America's involvement in WWII, the trailers have suggested to us that the film will be squarely on the shoulder of Steve Rogers and his quest to be the personification of a responsible American that believed in the dream. 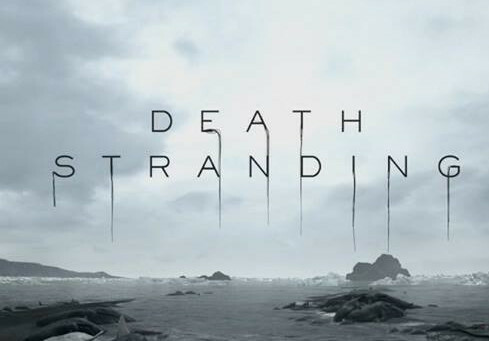 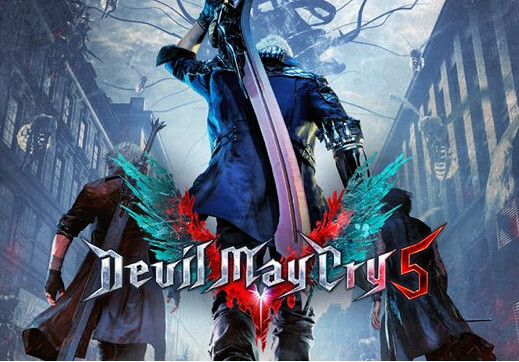 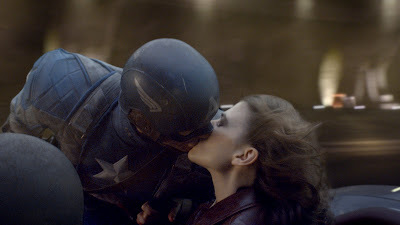 All that might be nauseating heroic for some, but we thought we have had enough of the brooding emo hero. 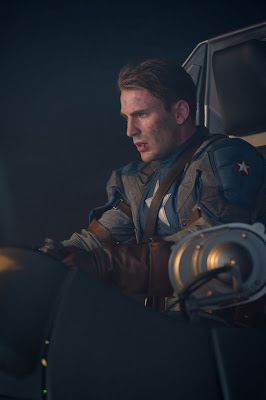 The transformation of the scrawny-necked but nonetheless old-school heroic Steve Rogers might just be the retro ride we need at this hour of superhero fatigue. 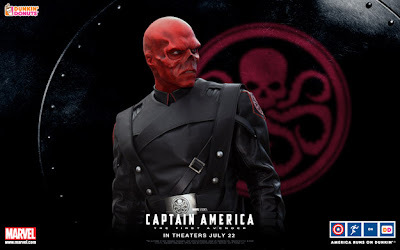 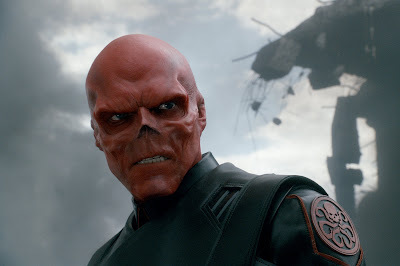 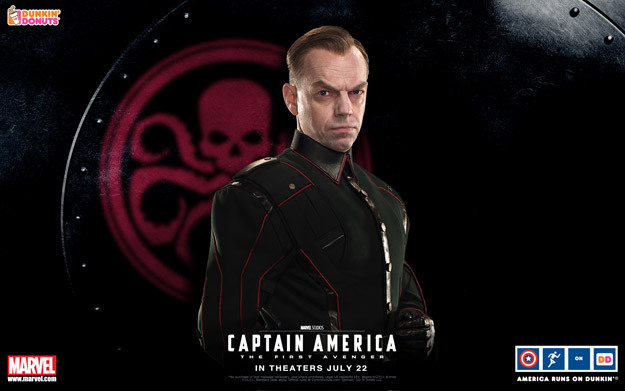 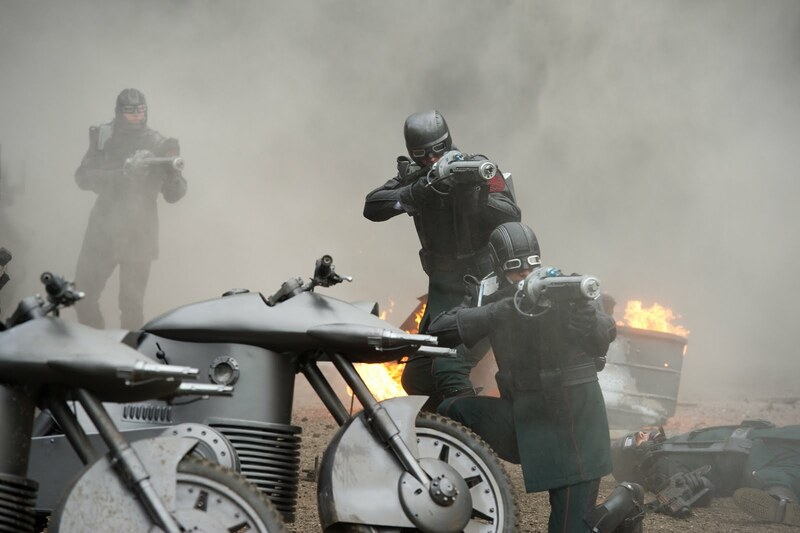 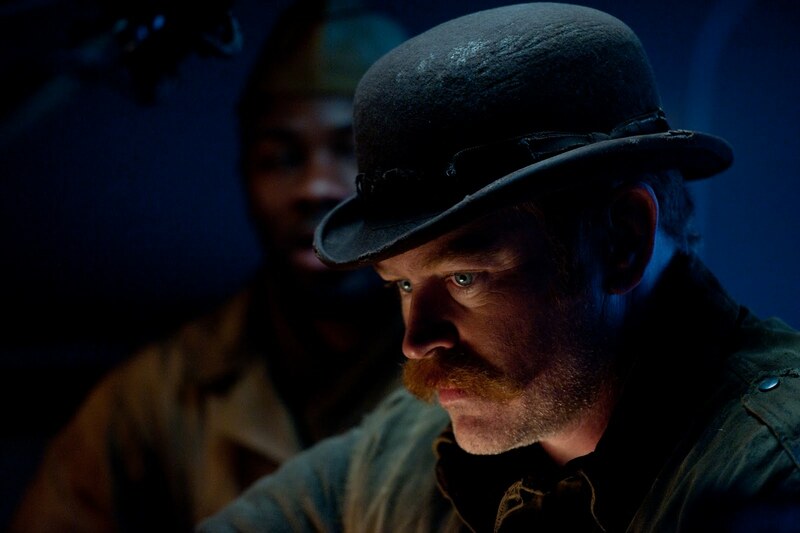 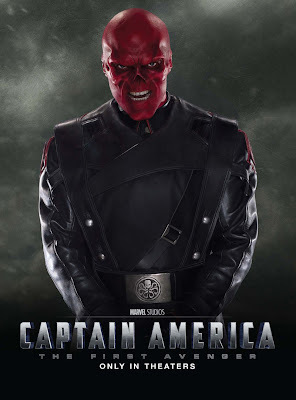 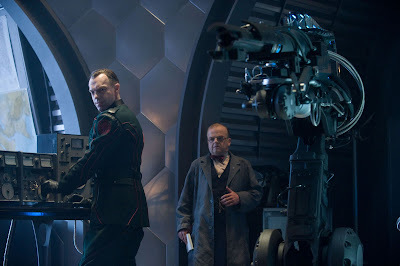 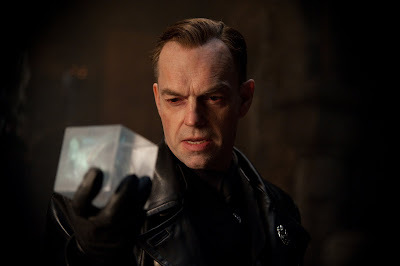 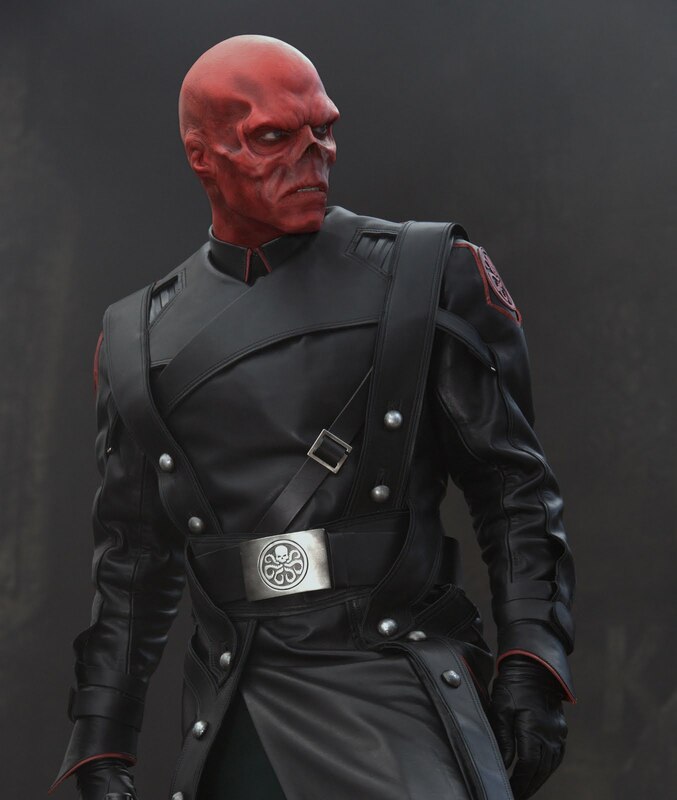 That, and an extremely kickass rendition of Red Skull by Hugo Weaving won't hurt too. 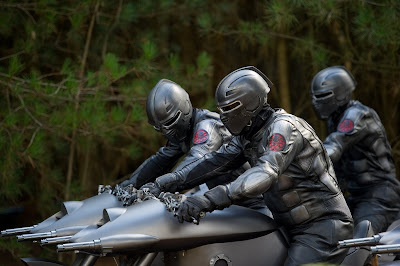 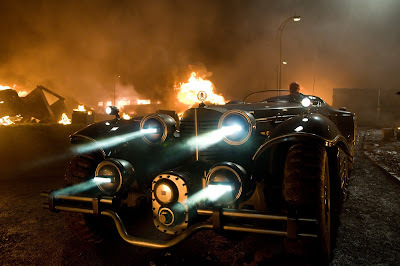 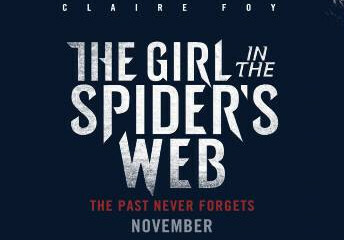 Just don't go expecting the film to hit the numbers of Transformers: Dark of the Moon or Harry Potter And The Deathly Hallows – Part 2. 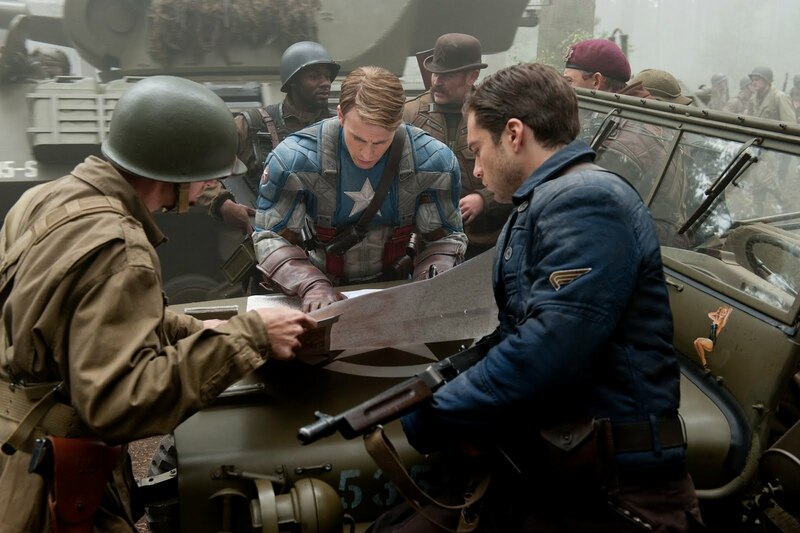 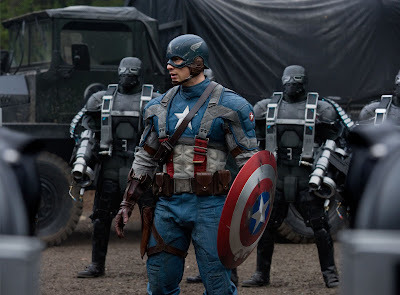 Strategically entitled as Captain America: The First Avenger, the film will be known only as "The First Avenger" in three less American-friendly countries: Russia, Ukraine and South Korea. 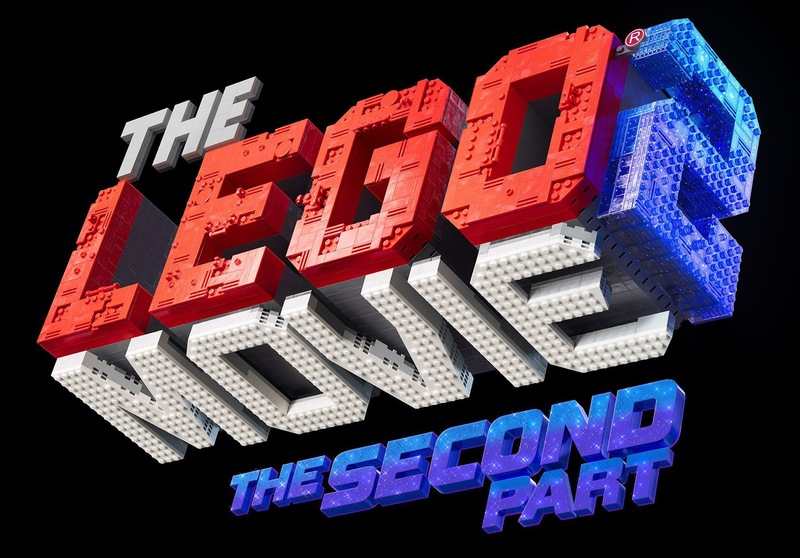 Apart from that, the complete title will be kept for its screening anywhere else in the world. 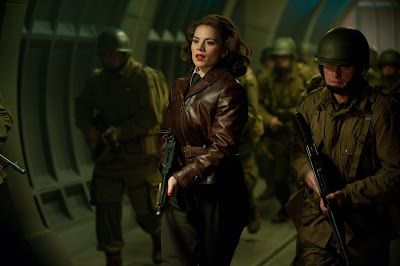 For those who will be watching the film, do take note of the time-honored fashion of Marvel films: Stay on for the credit roll as it has been much rumored that the actual trailer of The Avengers awaits for those who wait. 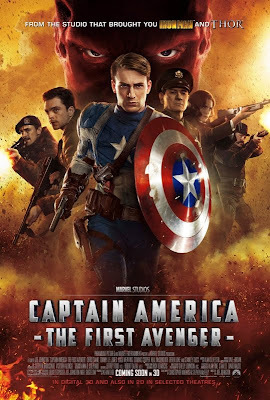 Starring Chris Evans as Captain America, as well as Hayley Atwell, Sebastian Stan, Stanley Tucci, Tommy Lee Jones, and Hugo Weaving. 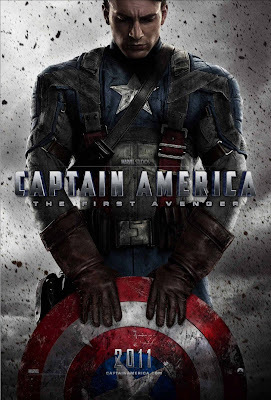 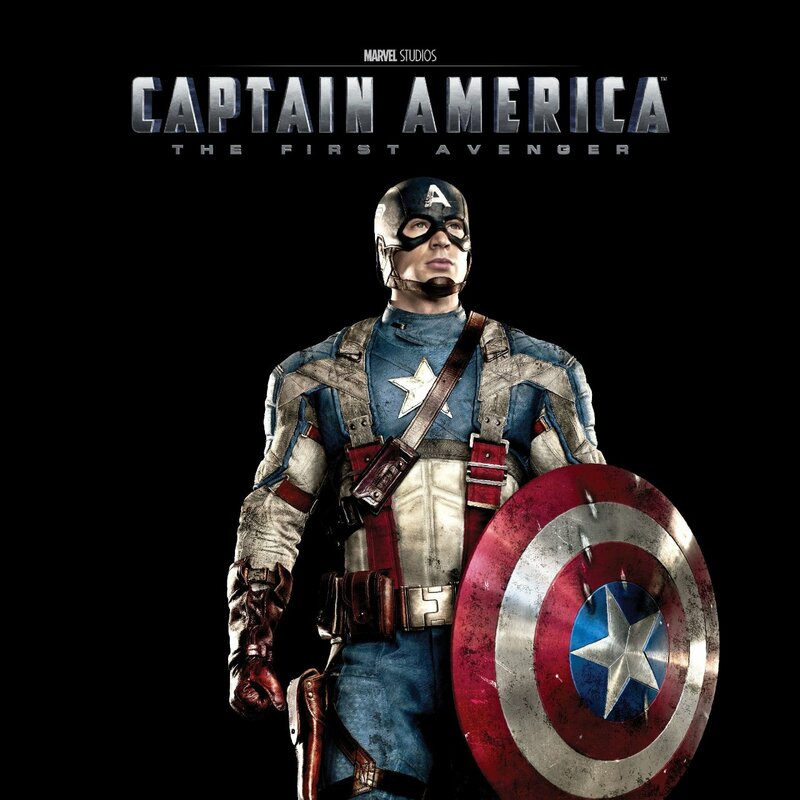 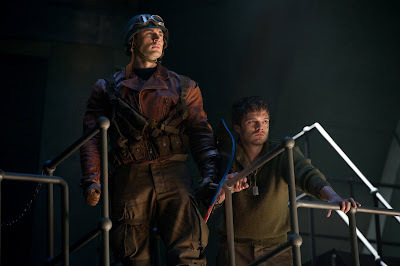 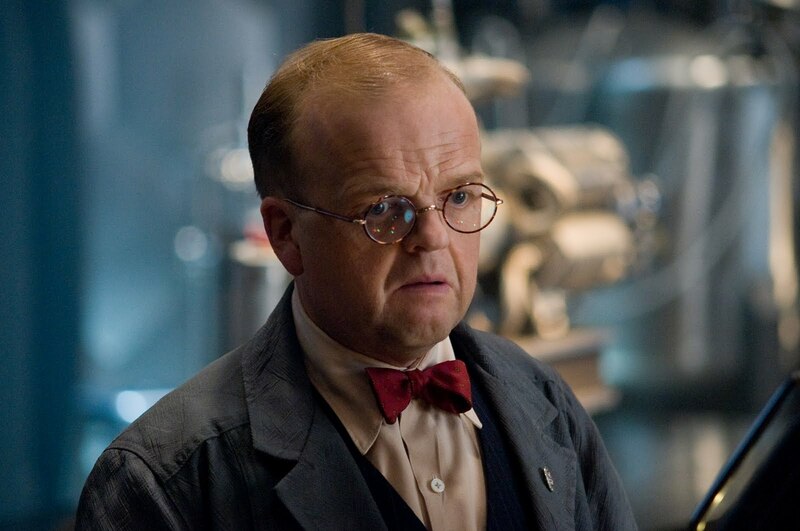 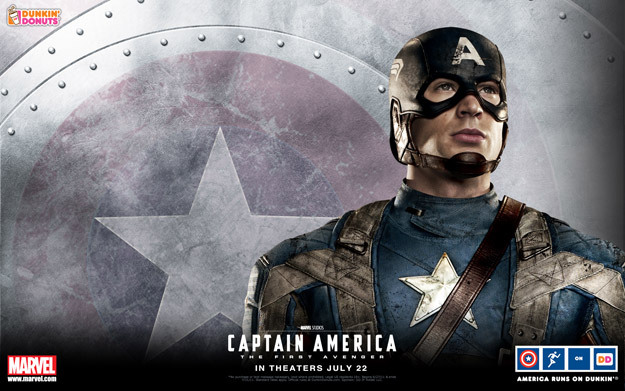 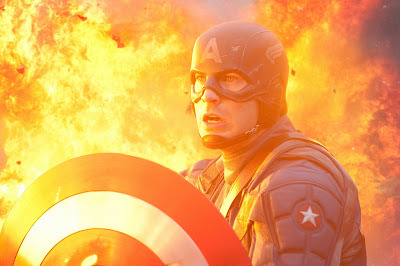 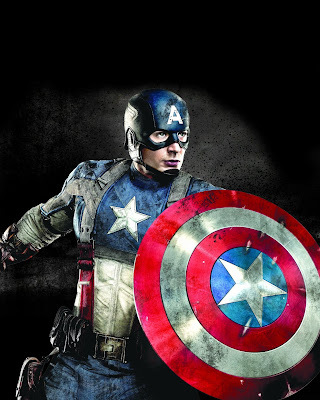 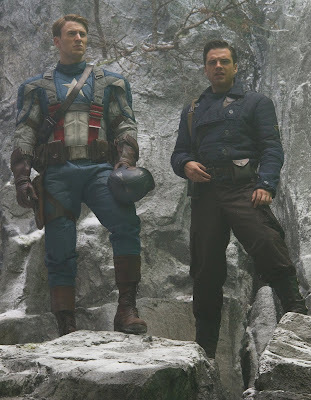 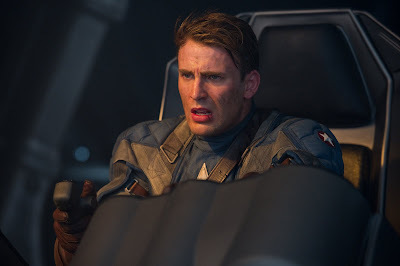 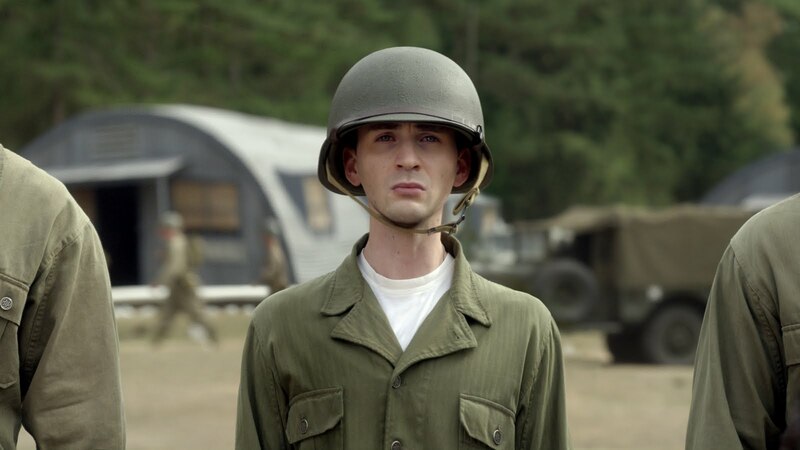 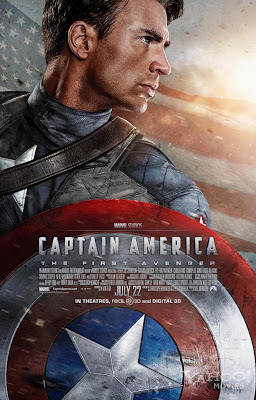 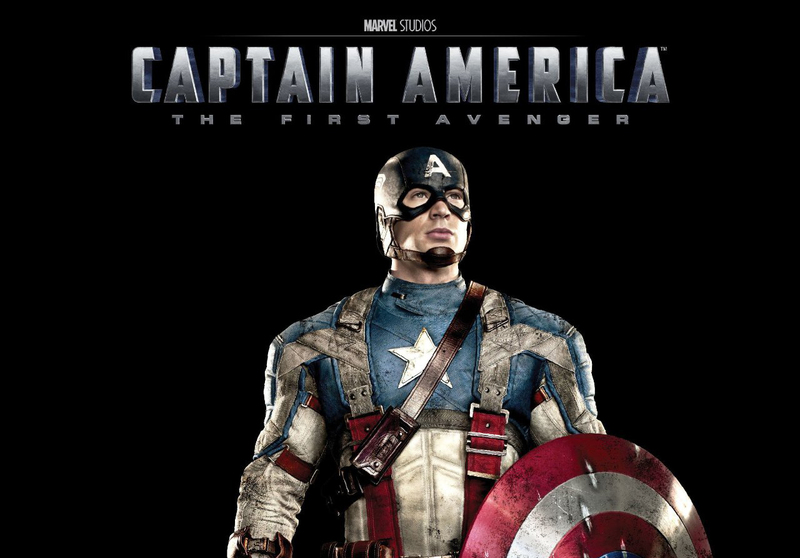 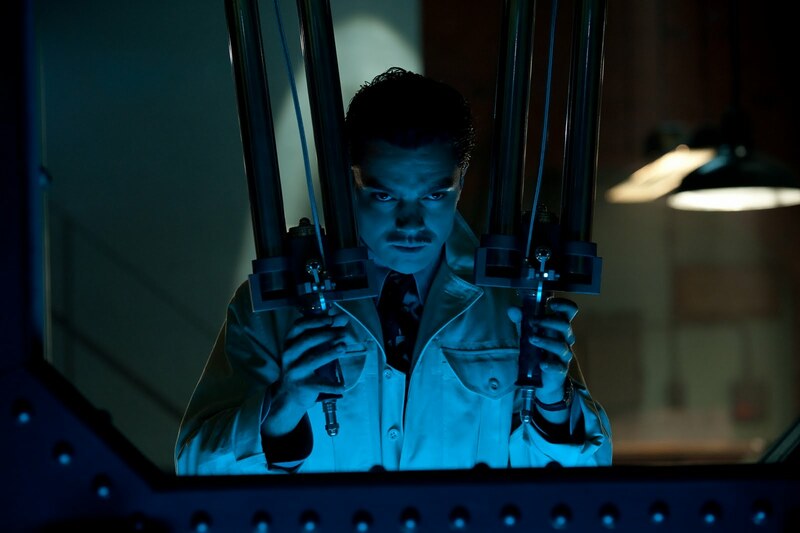 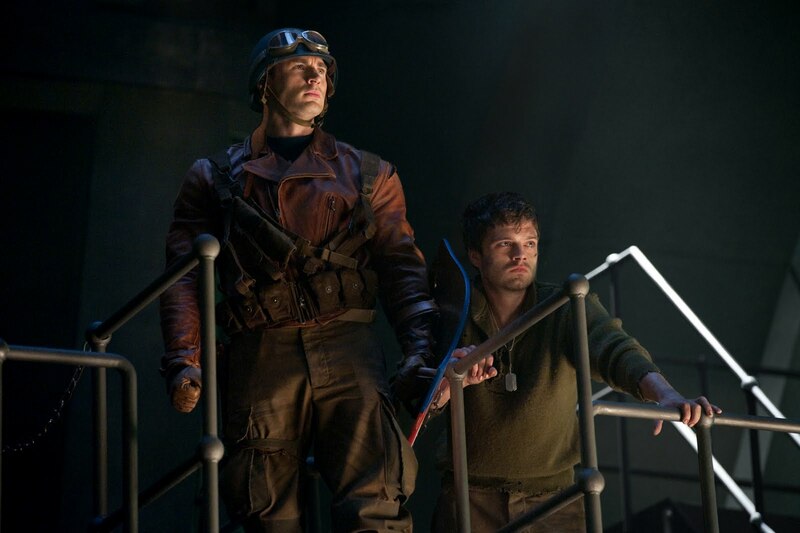 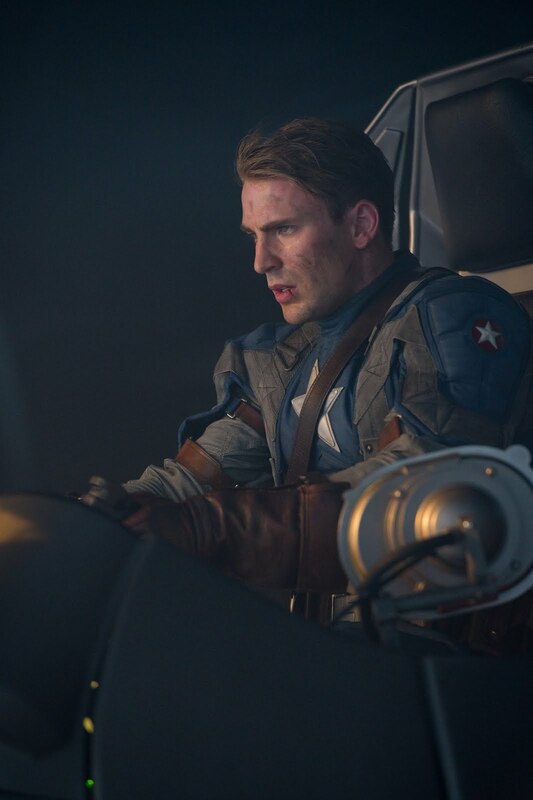 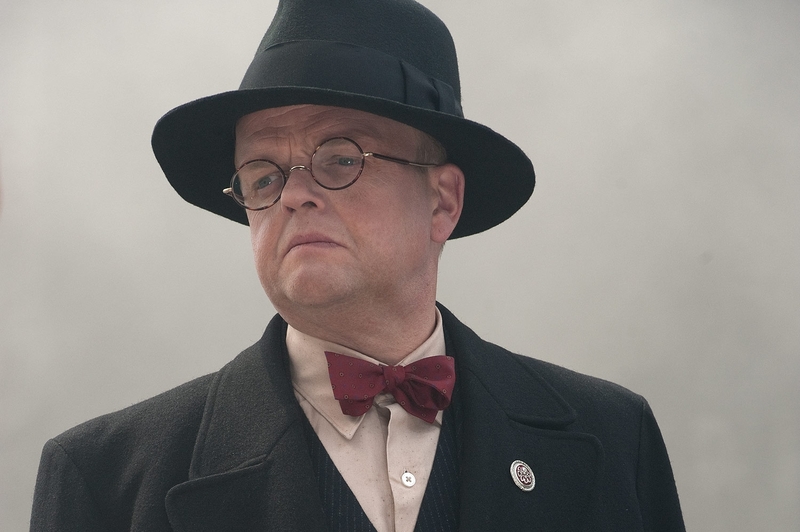 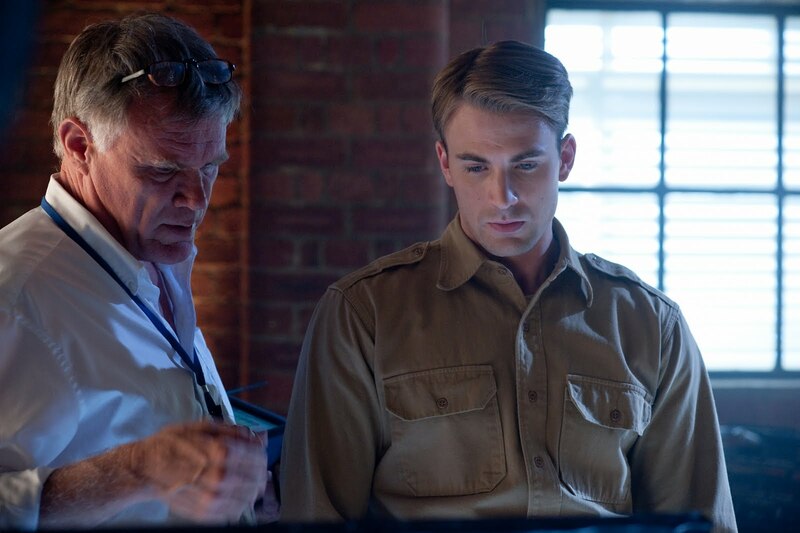 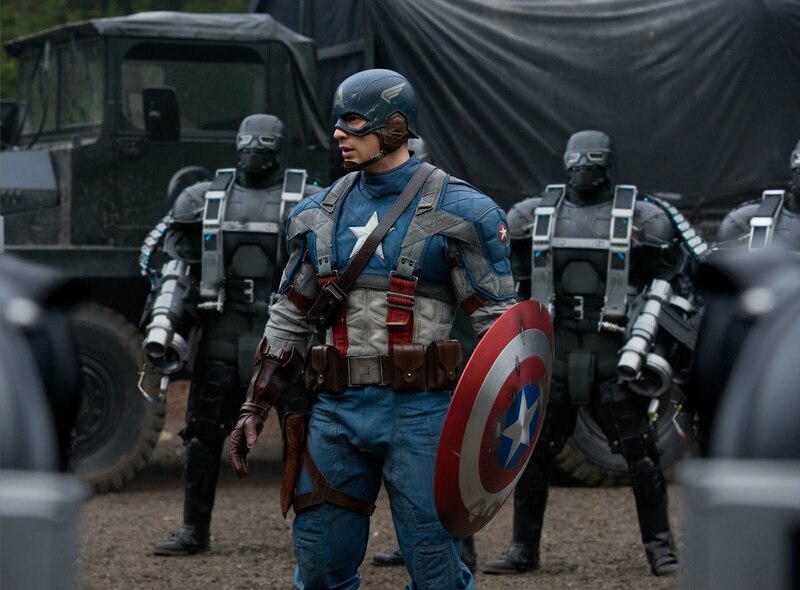 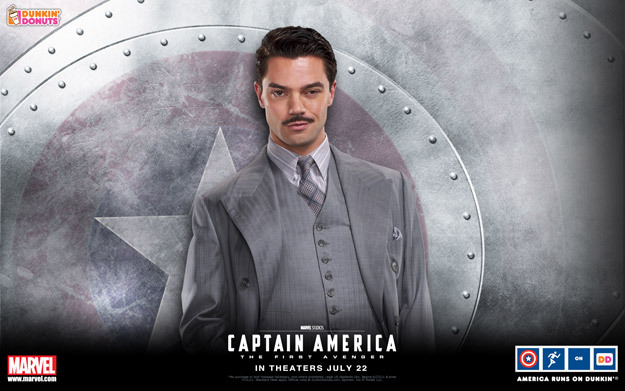 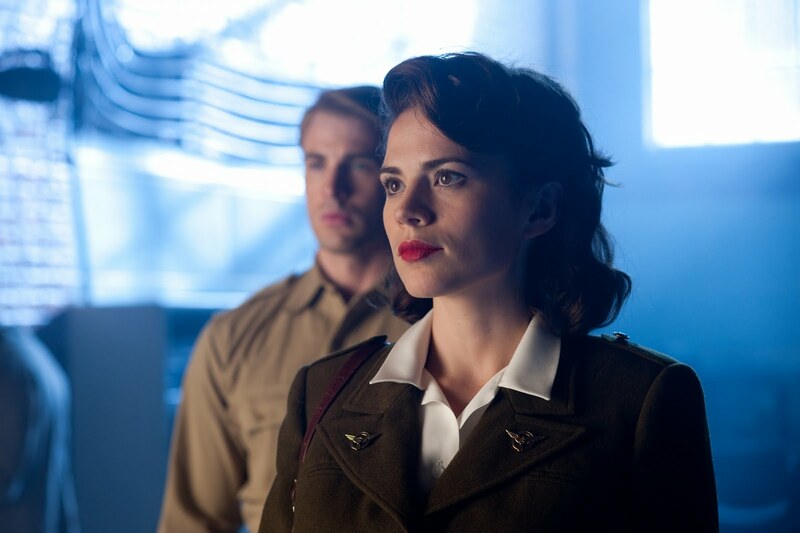 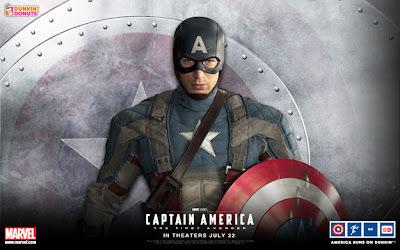 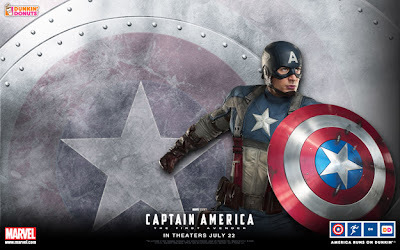 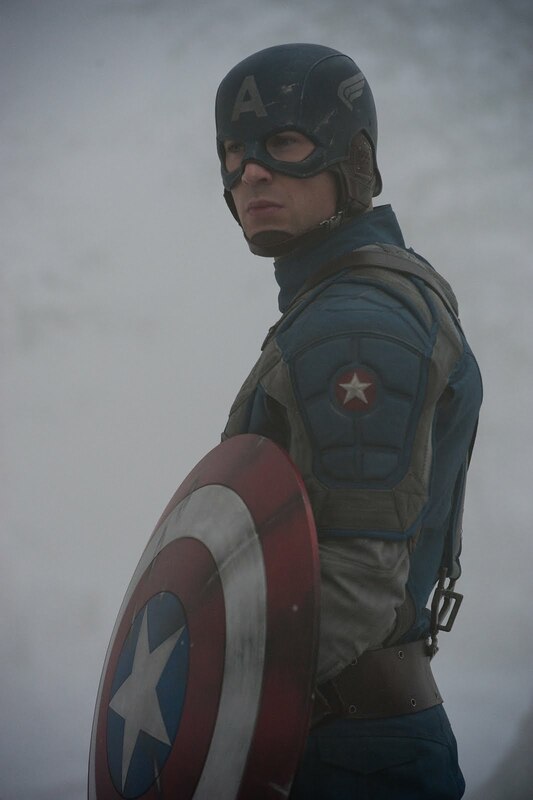 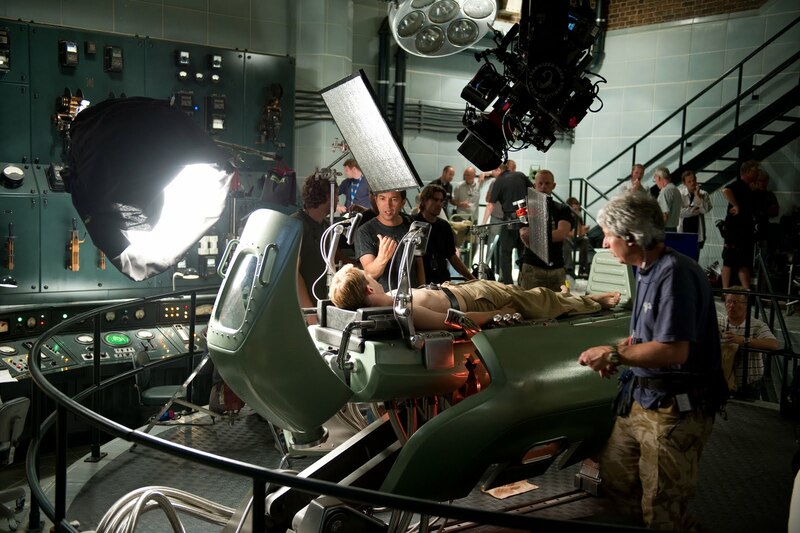 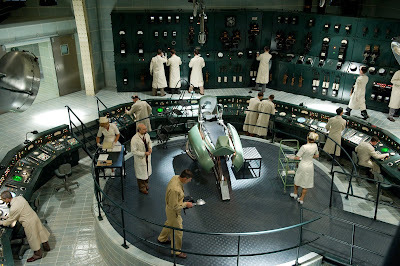 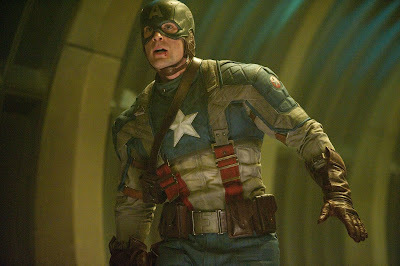 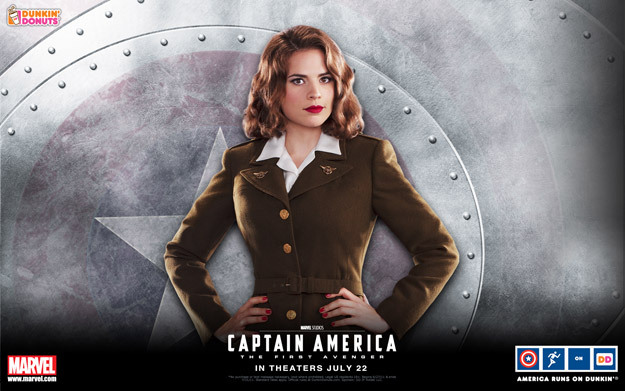 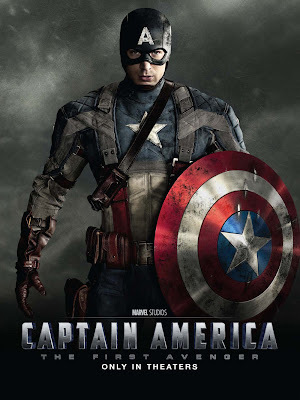 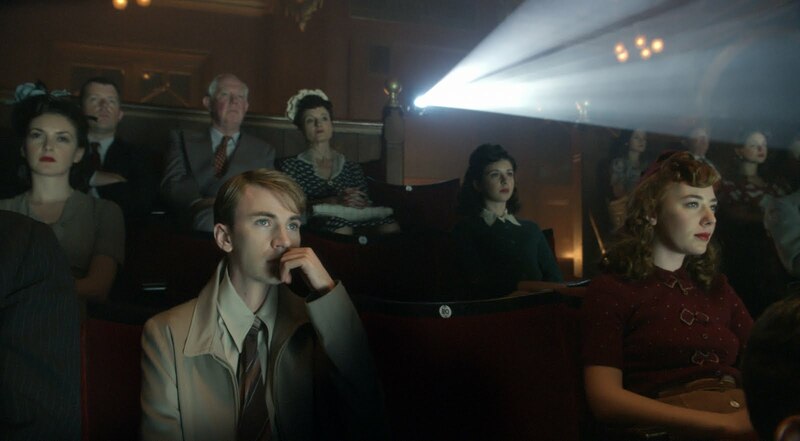 Captain America: The First Avenger opens today in 3D. 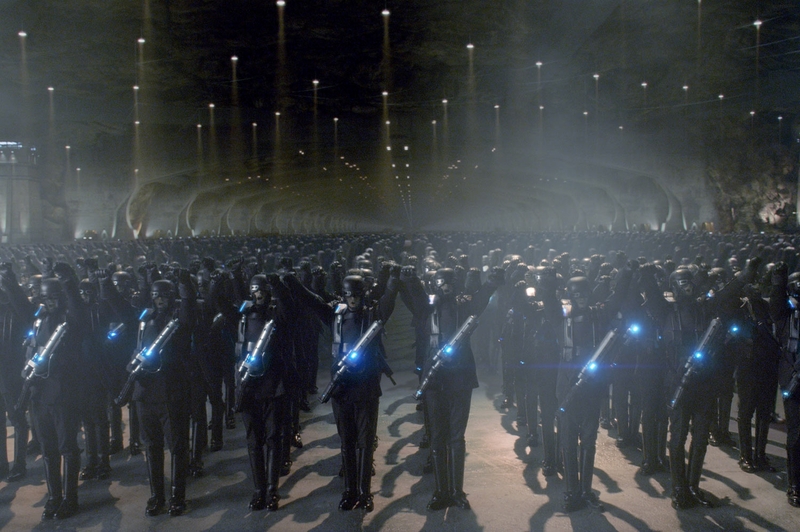 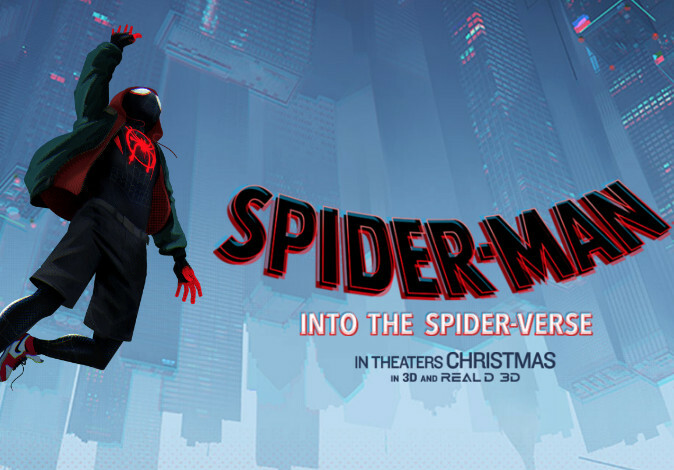 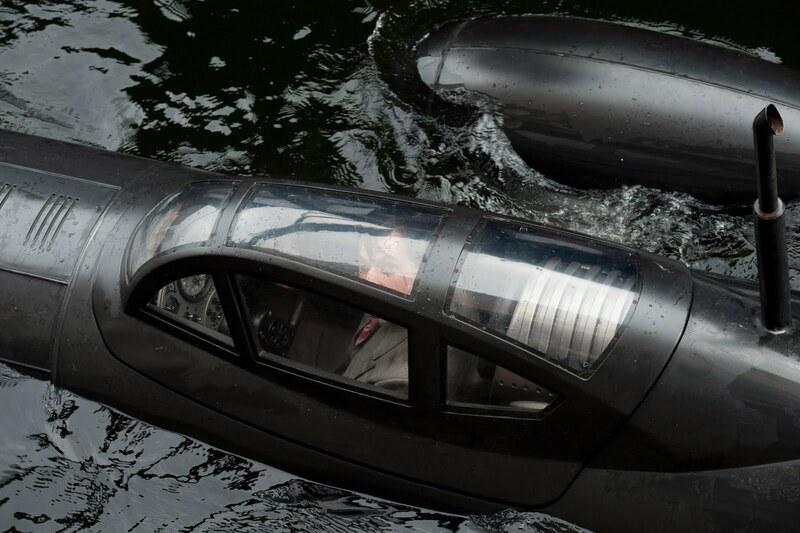 We take a final look at the trailers of the film right after the jump, followed by a collection of some of the more interesting TV spots, and featurettes from the film. And here's a massive collection of posters, promo images, and set still from the film. 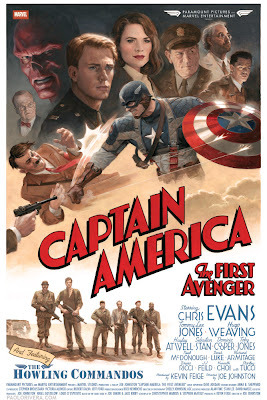 The retro poster that we posted earlier. The set of three character posters. The first poster from the film.